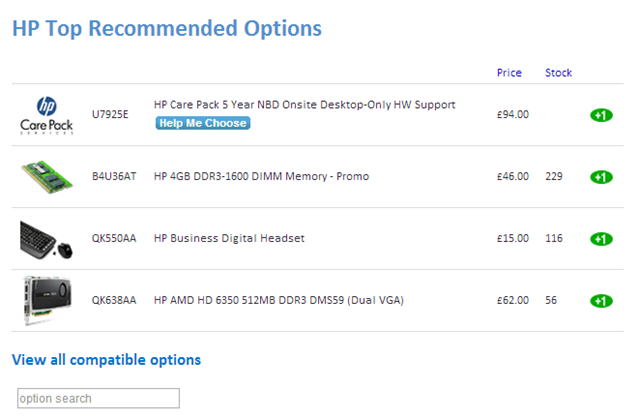 Now HP iQuote defaults to showing the HP Top Recommended Options from which it’s easy to Add to Cart. It is still possible to show all Options and search for Options of course. On first release this covers PPS Notebooks and Desktops but will spread to other product lines in the future.